What do Superman, Santa Claus, and Krampus all have in common? They're some of the research interests of Dr. Daniel Peretti, a new faculty member with Memorial University’s Folklore Department. Dr. Peretti grew up in Algonac, Michigan and studied film at Grand Valley State University in Michigan. He went to Indiana University to study Folklore and began studying holiday celebrations and history. 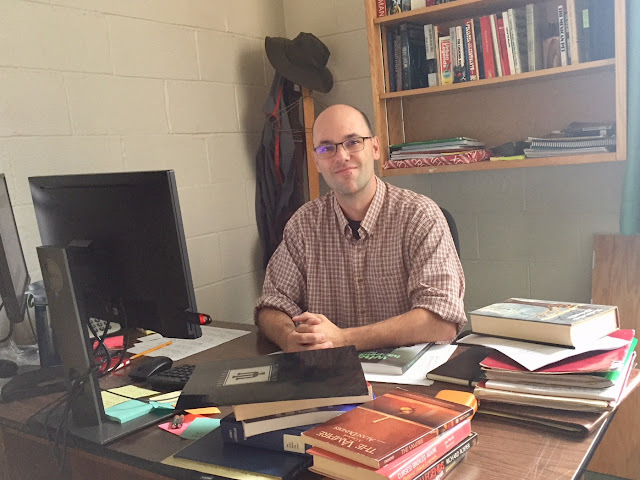 He moved onto researching mythology and and narrative, and focused his dissertation on Greek mythology in the United States, which included a lot of popular culture. In this episode, Dr. Peretti talks about his book, Superman in Myth and Folklore, and his newest project on the history and folklore of Santa Claus.